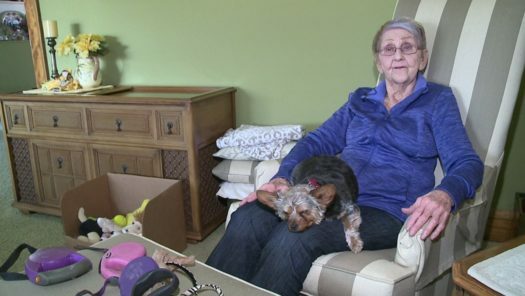 An 87-year-old woman was about to take her dogs Boo and Lulu on their daily walk, but it eventually turned into an encounter with the law. Lakewood woman Fay Olson was walking onto the sidewalk when a policeman told her she was illegal. She was using a retractable leash. The one she has been using since she got her dogs. She has been using it for about 20 years. Fay Olson said she uses a retractable leash because her dogs respond well to it, and they are trained to use it. Last year, Lakewood changed their dog ordinance laws so it limits what types of dog leashes can be used. “People should have the right to whatever leash they want. Every person and dog is different,” says LHS freshman Sam Stallbaum. Retractable leashes are banned in other places such as San Francisco and certain California State Parks. Veterinarians also say that the leashes can do harm to dogs. Cleveland Animal Protective League President Sharon Harvey said that she can see why certain cities ban retractable leashes, but it all comes down to how the dog is trained. Olson said she is continuing to fight for dogs. She mentioned that she did not enjoy being harassed by the warden, even though he was kind. She has already contacted her councilwoman to see if she can talk to the whole council. They are going to see if they can solve the leash law problem.